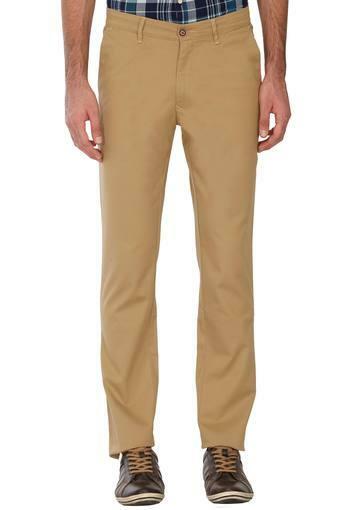 Renew your clothing collection by adding this pair of chinos from Wills Lifestyle. 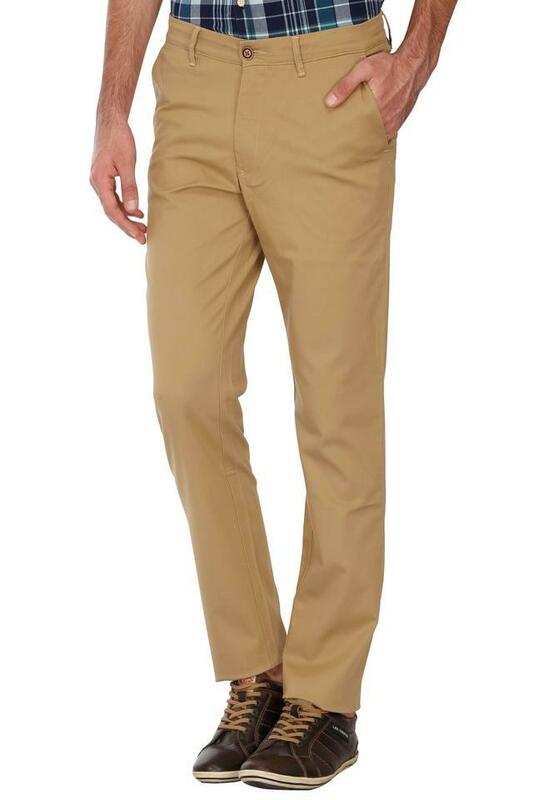 It has a waistband with belt loops that will provide you with a proper fit. 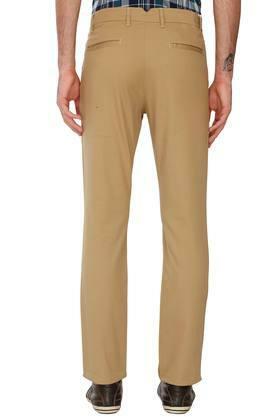 Besides, it is crafted from a premium quality fabric that ensures easy maintenance. It also comes with five pockets that will let you carry your wallet and other essentials with ease. 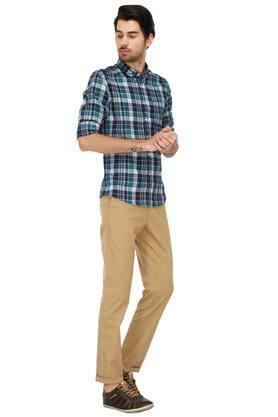 Revolutionise your look for any casual occasion by wearing this pair of chinos, which features a solid pattern. 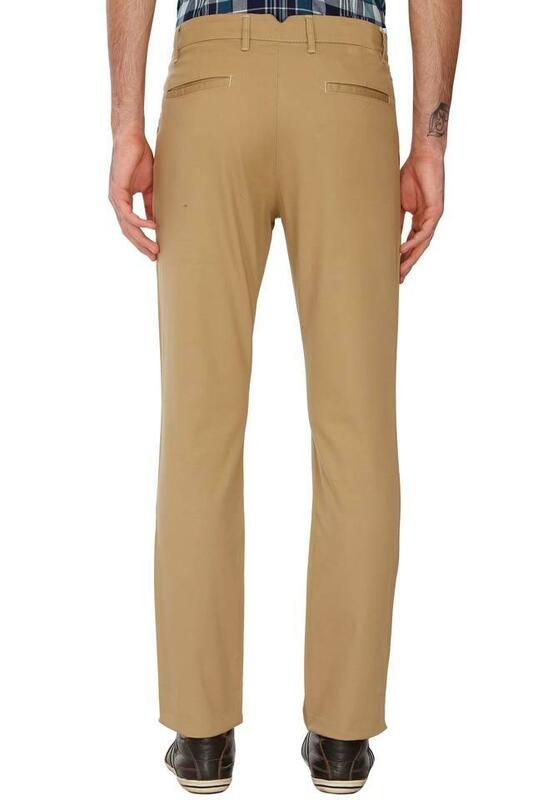 It will look good when teamed with a shirt and a pair of sneakers.